Prophet 12 Module, Hybrid synthesizer from Dave Smith Instruments. 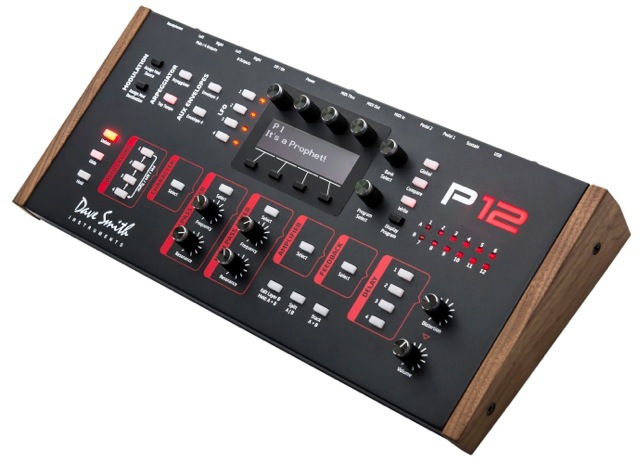 Red Led was so impatient to see the new Prophet 12 Module that he ran to the Dave Smith Instrument booth and brought us a video. [NAMM] An aluminum Minimoog Voyager for NAMM Moog posted a picture of the new Minimoog Voyager Limited Edition with aluminum finish that will debut tomorrow at the NAMM Show 2014. [NAMM] Elektron unveils Analog Rytm Elektron posted a video with more details about the new product that will debut at NAMM 2014. Meet the Analog Rytm 8-voice drum machine. [NAMM] Roland debuts two FA workstations at NAMM Roland will introduce at Winter NAMM 2014 two new 61 and 88-key workstations, respectively named FA-06 and FA-08.